In the early 19th century, Commercial production of geranium oil began in France. Geraniums are native to arid areas of South Africa's Cape province. The first species was probably pelargonium capitatum which still grows wild today. Widely used in the production of perfumes and cosmetics, it can be made to imitate many fragrances and is often used to 'stretch' the much more expensive oil of rose. The plant is highly drought resistant. This particular variety grows to about two feet high and has serrated, pointed leaves and small pink flowers. The whole plant is aromatic. It is found on waste land, in hedgerows and on the outskirts of woods. Essential oils is extracted by steam distillation from the leaves, stalks and flowers. It is considered to be one of the best skincare oils, offering relief from congested, oily and dry skin. Aroma : : Pleasant, Fresh, Rose-resembling aroma. Extraction: It is extracted by steam distillation of leaves and flowers. 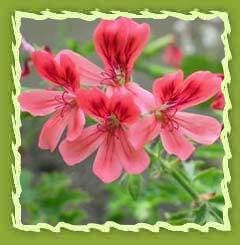 Geranium can be used in the treatment of inflammation which provides mild as well as soothing effect. The action on the nervous system is pronounced being a sedative with uplifting characteristics. Geranium is reputed to be highly effective in assisting with pre-menstrual tension, excessive fluid retention, menopausal problems, uterine and breast cancers. The therapeutic properties of geranium oil are antidepressant, antiseptic, astringent, cicatrisant, cytophylactic, diuretic, deodorant, haemostatic, styptic, tonic, vermifuge and vulnerary. It is a wonderful oil to use as a hormone balancer for P.M.T. and menopause. It can also be used in a massage blend for painful periods and sore breasts as it also has an analgesic effect. It is a predominantly female oil. It is used as a fragrance in all kinds of cosmetic products like soaps, creams, perfumes etc. This oil is rejuvenating to the skin, treating acne, bacterial and fungal infections and to treat wounds and scars. Geranium skin preparations are gently astringent, opening pores and clearing oily complexions. A tonifying cream containing geranium oil makes a nourishing moisturizer and makeup remover. A good massage can be prepared by adding 2 drops of geranium and 3 drops of mandarin with 10ml or 1 desert spoon full of vegetable oil for a skin conditioning blend for use to remove streatch marks of broken capillaries. Vaporisation/difusion : To create a harmonious and streanthening atmosphere in times of hormonal imbalance, a few drops of geranium can be added on the vaporiser. 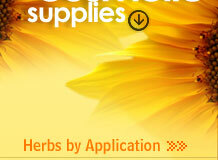 Perfumery, air fresheners, cosmetics and hygienics, skin disorders, eczema and haemorrhoids. Geranium oil is also insect repellent and is good for headaches, dental abscess, stings and bites. Geranium is used in the following applications. As a constituent in a blended base cream, geranium oil can be used for eczema, repelling insects, shingles, burns and scalds, cellulite, ringworm, bruises and engorgement of the breasts It will help to balance the oil production of the skin and help keep it supple, while the cicatrisant properties ensure that it is helpful in wound healing, including burns, wounds and ulcers. Geranium is used in flavoring food additives like preparation of jams, jellies, cakes and puddings, drink and beverages, sauce and ice creams. It is also used in dairy industry, dehydrated fish, vegetables and fruits, ice cream flavor, malt extract like margarine, molasses, mushrooms, processed fooods, poultry industry, organic foods, sea food, salt and sports drinks. Extensively employed as a flavouring agent in most major food categories, alcoholic and soft drinks. This oil would make a great addition to mouthwash or gargles for sore or infected throats.